Where I can agree with all or most of the comments about who and what is responsible for the current serious crime in Cayman, I would like to point out some very obvious facts to address some posters who appear to be living on a different planet. The four contributing factors of crime in Cayman now are: 1) Perception of risk, 2) Confidence in the police, 3) Fear of crime, and 4) Criminal victimization. Perception of risk from crime influences the confidencein the police because the perception of the disorder and crime on the island directly influences and effects the island’s population’s perception. Logically, citizens’ dissatisfaction with the police’s performance or lack of confidence in the police is derived from a high anxiety about being victimized in their own community. The interaction between the perception of risk and confidence in the police could provide an understanding of the threat posed to persons in the community. The fear of crime is a major indicator to measure people’s perception of being victimized. The fear of crime can be measured with two basic questions: How safe do you feel being out alone in your neighbourhood at night? Are there “no go” areas in the immediate vicinity of your neighbourhood? These two questions are very good indicators of the perceived threat or risk of victimization on you as an individual, based on your interaction with the environment that you live in. Each person may evaluate the risk differently and such a perceived risk may not parallel the actual level of risk in a situation. In contrast, fear of crime is an emotional response to the perceived risk of threat in one’s environment. The judgement of risk involves a cognitive process. The judgement of risk from criminal victimization may be influenced by the prevalence of disorder in an individual’s immediate environment. The perceptions of personal risk of victimization and perceptions of neighbourhood risk of victimization are linked, due to the present rate of criminal activity in the community. If people perceive their community to be a high threat area they are more likely to perceive themselves to be at high risk. This in turn implies that confidence in the police may play a role in such risk perception. People or communities who believe that the police perform well at their task or duties are likely to evaluate the risk of victimization as less than those who do not have that confidence in the police. Often those individuals who criticize the police are the people who live in high crime areas and experience, first hand, the insufficient activity by the police. Confidence in the police is affected by three distinctive factors that contribute to the public’s confidence: Fear of crime, risk of victimization; and safety of your neighbourhood. That confidence in the local police was predicted by perceptions of crime in the area and perceptions of the criminal’s lawlessness in the community. The perceived safety of a neighbourhood is also found to be significantly correlated with confidence in our police service. Undoubtedly our law enforcement agencies have to heavily depend upon the cooperation of the local citizen to perform their duties efficiently and effectively, and our confidence in our police is crucial to ask or acquire citizen’s assistance cooperation and participation in a variety of the local community related police assignments or duties. In assessing local citizens’ confidence in the police has special relevance to attempts to implement community policing. Confidence in the police also has a significant impact on perceived risk of threats relative to satisfaction with police contacts as being a victim or a witness of a crime. In Cayman financial status/income, experience with crime as a victim or a witness, and confidence in the local police, were primary factors of risk perceptions. Income, in particular, may function as an indicator of the objective level of risk of criminal victimization and concern about safety of the community as well. In Cayman one can reasonably conclude that lower income residents are more likely to live in high crime areas and are at greater risk of criminal victimization. In fact, people in Cayman who have actually experienced contact with the police as a victim or a witness tend to expect that the RCIPS can aggressively resolve crime problems in this community, which may, directly or indirectly, alleviate the perceived threat of violence. A simple act to make people feel safe is if the RCIPS patrolled the neighbourhoods frequently, regardless of their socio-economic status. Another area that will improve the confidence in the RCIPS would be if the RCIPS managed the police-citizens contacts in a satisfactory manner. The reciprocal relationship suggests that strategies, such as community-based policing, are designed to address the perceived risk of criminal victimization and may also enhance confidence in the RCIPS and finally, added to this dire situation, is the suspicion of corruption which on its own undermines political social and economic stability, threatens security and damages public confidence and trust in the government, which in turn effects people’s daily lives and its consequences and cost are immense. The Cayman public knows and understands that this is not rocket science. Why can’t the government? I cannot count how many times we warned senior government as well political officials in both parties about the coming crime and corruption situation. These were reinforced with numerous socio-economic and criminal intelligence reports that they wilfully chose to ignore by listening to their own economic and political interest. The wilful neglect of such reports (which, by the way, no longer exist — destroyed by Hurricane Ivan, I guess?) 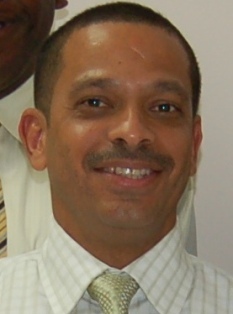 along with the dismantling and destruction of certain working units within the RCIPS by "forcing out" of some very capable officers is nothing short of criminal, to be replaced by promoting ‘old boy network’ cronies and foreign nationals with their own political agendas, has also contributed to this dire crime situation and has cost Cayman millions of dollars. Cayman, the significant challenges we face cannot be resolved at the same level of thinking we were at when we created them. ‘Tempura’s Ghost’ is a former member of the RCIPS. 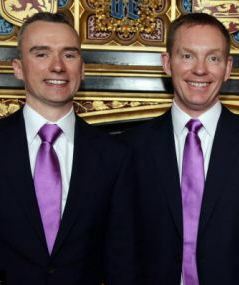 (CNS): The minister with responsibility for overseas territories, Chris Bryant, made history this weekend when he became the first homosexual MP to enter into a civil partnership in the Houses of Parliament. The UK minster and Labour MP for Rhondda, who is also a former Church of England clergyman, tied the knot with his partner, Jared Cranney, a company secretary, on Saturday. The couple’s ceremony took place in the Members’ Dining Room, overlooking the Thames after the Speaker John Bercow gave his permission for it to go ahead. In a statement released afterwards, the couple said they were "enormously grateful" to Mr Bercow and Leader of the Commons Harriet Harman for making the "really special day" possible. The Civil Partnership Act 2004 gave gay couples the right to obtain the same inheritance and legal rights as married couples. Bryant was also the minister ultimately responsible for supervising the establishment of the Cayman Islands Constitution 2009 and its bill of rights, which has been drafted in such a way as to prevent any similar rights being afforded to gay couples in Cayman. The country’s political leader said that although he had asked the police commissioner to bring in a task force to give the criminals a “kick where it hurts”, the commissioner had not agreed but had said he was taking an aggressive approach and would be rounding up the criminals by use of existing legislation. “I have talked about a task force and I think we need that but the commissioner does not see it that way … he does not think a swot team will work but that greater government, community and police cooperation is the answer,” Bush explained, emphasising that elected officials had no power over the police, and when he had tried to change the way things were in 2003 people had marched against him and accused him of seeking independence. He blamed the introduction of human rights for the problems the country faced, as he said it was making it difficult to address the crime problems. “We have this thing here called human rights now … it is a hindrance to the hard way of dealing with the bold face criminality that is hitting us today,” the premier added, suggesting everyone who voted for the Constitution who thought it was going to be a great saviour to humans were now seeing that it was making things more difficult. The premier pleaded with people in the community to help the police and said they needed the evidence to convict the criminals. He said mothers and girlfriends could save a life by telling the police where guns were hidden or if they thought a crime might take place. The community had turned a blind eye for far too long claiming “not my child”, but Bush said it was somebody’s child that was killing someone else’s child. He also offered his support to Police Commissioner David Baines, who has threatened to prosecute hostile witnesses. He announced that he was requesting the deputy governor suspend parole, as he suspected the crimes were being committed by repeat offenders, who were being let out on license to come and commit the same crimes. Both his West Bay legislative colleagues who were present at the meeting echoed the sentiments. Captain Eugene Ebanks said he knew some people didn’t trust the police as they had been known to leak information, but he said he thought they were past that now and people had to start to trust them. The Minister for Education and West Bay’s second elected MLA Rolston Anglin emphasised that without forensic evidence the police relied on the community. He asked people not to be fooled by TV cop shows, as it was often the case that the criminals left no forensic evidence at a scene. “If you don’t have hard evidence from the scene and you don’t have evidence from witnesses you cannot prosecute,” he said, adding that it was easy to blame the authorities or the politicians but pointed out that he had not witnessed the crimes but someone out there who was remaining silent had. He also announced that the government was asking for a telecommunication block at the prison and stop direct contact with visitors for serious offenders. He said that the prison would be introducing glass panels which would physically separate the prisoners from visitors. Following the presentations by the MLAs, the community raised their concerns in the question and suggestion session that followed. People reiterated the long held belief that the police could not be trusted as they were leaking information, and one suggested “giving the drug to the young people” in the community. The popular sentiment was for harder and more punishments and some warned of vigilante justice. A survey was also circulated asking what people wanted to see implement to fightcrime, such as the finger printing and DNA sampling of work permit holders, a national ID card, the publication of photographs of those people accused of crime as well as those charged, the wider introduction of CCTV and other issues relating to the limitation of civil liberties or crime fighting tools. (CNS): Cayman’s health insurers will soon be required to offer their customers more comprehensive coverage and they will not be able to pick and choose who they insure and who they drop. The Minister of Health has said that the government is currently reviewing the health insurance law and in particular the level and quality of coverage offered under the basic plans through employer’s health insurances schemes. Mark Scotland told the Legislative Assembly that the health care providers need to offer more transparent, fairer, coverage and that government was no longer going to pickup the slack for every insurer who refused to cover clients or to pay claims. The minister was speaking during a private members motion debate when the MLA for North Side, Ezzard Miller requested a review of the law as he said he had received significant representation from his constituents with numerous complaints about health insures. He said people complained that they refusing to pay up, offered severely limited cover, dropped people when they moved from employer to employer o n the basis of pre existing conditions, as well as the inadequate coverage being given for what was still a significant premium even with basic coverage. Miller explained that because some insurance firms are not paying the doctors or the hospitals, the health care providers were now making patients pay before they would treat them, forcing them to make claims after the event. “The health insurance industry is not providing the healthcare providers with guaranteedand prompt payments for services rendered to their clients leading to the unfortunate situation where persons who have already paid high premiums for health insurance coverage are forced to pay the healthcare provider ‘up front’ and attempt to reclaim the expense from their providers,” Miller stated in the House as he called on the minster to establish a select committee to review the legislation. In his response the minister revealed that the review of the law was already well underway. Scotland explained that government had come up with a proposed new basic package which significantly increased coverage on everything from routine doctor’s visits to hospital stay costs as well as dental and maternity cover and was now in the process of negotiating a set premium with the insurance companies. He said the aim was to have a flat premium rate for the basic health package for everyone which would be the same no matter which company an employer would choose to use as cover. Scotland said the goal was to provide accessible, transparent health care policies for everyone in the Cayman Islands and to reduce the numbers which the private sector was dumping on government through their refusal to cover the people they defined as higher risk. “Government is currently playing a huge role in filling the gap of those who are under or uninsured,” he said, adding that the system was not working. He said the new legislation would not allow health insurers to drop people based on existing conditions or pick and chose who they insure when taking on employer’ coverage. He also said that the health insurance commission would be given the power to prevent a health insurer’s license from being renewed if they were dropping clients or excluding high risk individuals, not paying health care providers are attempting to offer in adequate cover. Scotland said the government wanted to get more people properly covered at an affordable transparent rate and to reduce the growing number of people the health companies wouldn’t cover forcing CINICO to take all the risks or the government to pay the hospital. The ministry, Scotland said, was working on ensuring that all of the problems with the current system were addressed and as a result discussions were ongoing with all of the stakeholders including those buying the policies, the healthcare providers and the insurance companies and he hoped to have a bill to amend the existing law before the Legislative Assembly in June or July. Closing his debate Miller warned the minister that trying to enlist the support and co-operation of the health insurers would be difficult and told him not to allow the health companies to negotiate the minimum premiums for the basic health plans or CHIC 1 but to enlist the services of independent actuaries and have them calculate what premiums needed to be paid to provide the new improved schedule of cover.